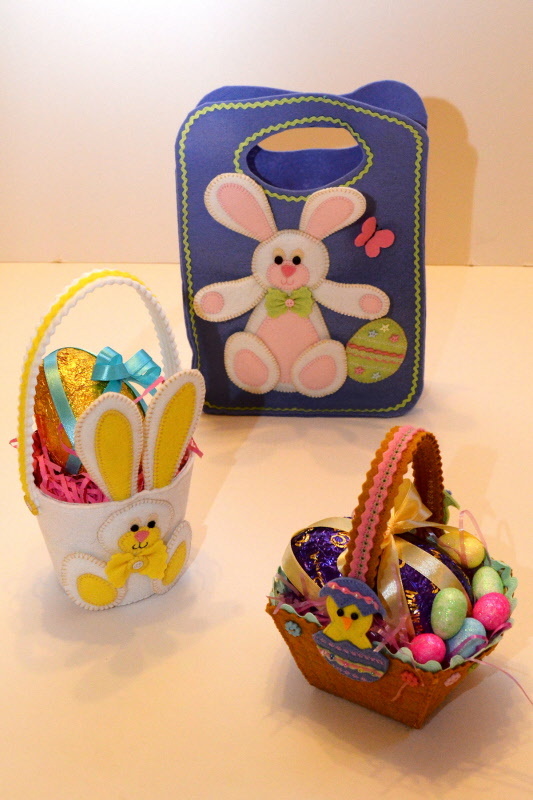 Who can resist these beautiful Easter bag and baskets? Designed by Gail Penberthy, you get all three designs on the one pattern and they have all been made out of felt. The large bag measures 10x8 inches, the bunny bucket measures 5x9 inches including the handle and the basket measures 4 1/2x 8 inches including the handle.